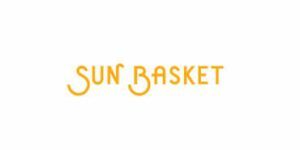 One of the best meal kit services in America, Sun Basket has been carefully following the home cooking trends in the country. According to a recent survey, more than 72% of Americans now cook at home at least 4 nights a week, but not all of them have the time and skills to create elaborate, delicious, and optimally nutritious meals. In light of these findings, Sun Basket has decided to offer a perfect solution for both beginners and busy home cooks. It has launched a completely new meal plan called Quick & Easy, featuring dishes that take just 20 minutes to make. With the Quick & Easy meal plan, you can choose from a variety of dishes that are particularly designed for fuss-free, stress-free cooking. The options include easy-prep, grill-friendly, one-pan, and 20-minute meals. Out of 18 recipes on the menu every week, 6 of them require you to spend just 20 minutes in the kitchen, about 5 of them can be prepared in one pan, and there are always at least 1-2 easy-prep and grill-friendly options. Thus, the Quick & Easy plan allows you to choose from an assortment wider than that available with most other Sun Basket plans. Quick & Easy meals do not just allow for speedy and easy prep and cooking, they also minimize cleanup. This is particularly true for grill-friendly and one-pan meals that allow you to clean up in just a few minutes. At the moment, the Quick & Easy plan is only available with the Classic menu, allowing you to choose 3 out of over a dozen of simple and delicious recipes for 2 or 4 people. If you have been looking for a way to improve your diet without slaving away at the stove all day, this innovative meal plan can help you eat more healthily, cook more quickly, hone your skills, and impress everyone at the table, every time.